Does cutting your lawn bring on allergy symptoms? Get Relief by letting a Robot do it for you! As anyone with outdoor allergies knows, cutting the lawn can be a miserable task. A Robotic lawn mower like the Robomower or Lawnbott removes you from the immediate area while the grass is being cut whereby providing you with allergy relief. Why suffer while pushing a lawn mower around when when you could be enjoying your day? 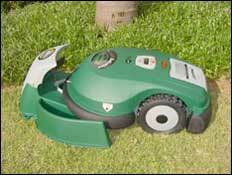 Robotic Mowers: The allergy sufferers friend! Smart Lawn Mowing is the Lawnbott's Specialty! 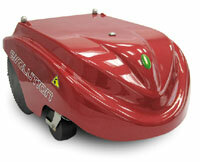 The Lawnbott Evolution model can handle up to a 3/4 acre of Grass! It will run on a weekly schedule that you choose. Self Charging. Click here to learn more about this hi-tech allergy reliever. Robomower can handle up to a 1/2 acre of grass. It also runs on a schedule. A docking model will automatically start at the time that you choose. We have Robotic Vacuums too! More and More people have realized the allergy relieving benefits that these robotic mowers and Vacuums can provide to them. We did not even think of allergy relief as a feature when we began selling these robotics a few years ago. One of our customers contacted us to tell us that tthe worst symptoms of their grass allergy was pretty much a thing of the past. Since then, we have helped countless others to also reduce their allergy misery.